How term life assurance protects you and your family. Have you considered who depends on you today, whether it’s financial support or your professional expertise? The chances are that it’s more people than you realize. Your income may support a household covering mortgage, education costs, living expenses and many other expenses. You may play a vital role in raising your children and managing the family income. You may be a sole trader, partner or controlling shareholder in a business. These people rely on you today. But have you considered what would happen if you were gone tomorrow? Whilst many of us haven’t, or don’t want to consider this question, protecting those that depend on you today will ensure that they are secure tomorrow, providing peace of mind and financial security. With a term life assurance plan you can protect you and your loved ones from the uncertainties in life. Term Life is the least expensive, easiest kind of life insurance coverage that you can buy. This kind of life insurance cover is temporary and for a fixed period of time. It provides affordable, guaranteed death benefit coverage for as long as you need it. Because term life assurance is a pure death benefit, its primary use is to provide coverage of financial responsibilities for the insured or his beneficiaries. Such responsibilities may include, but are not limited to, consumer debt, dependent care, college education for dependents, funeral costs, and mortgages. Term assurance is often chosen in favor of other types of life insurance because it is usually much less expensive (depending on the length of the term). Term assurance is relatively easy. You can buy term assurance that stops after 5, 10 or 20 years to suit your needs, or that can be continued beyond age 70 – depending on the specific policy you are purchasing. Why should I buy term life assurance? 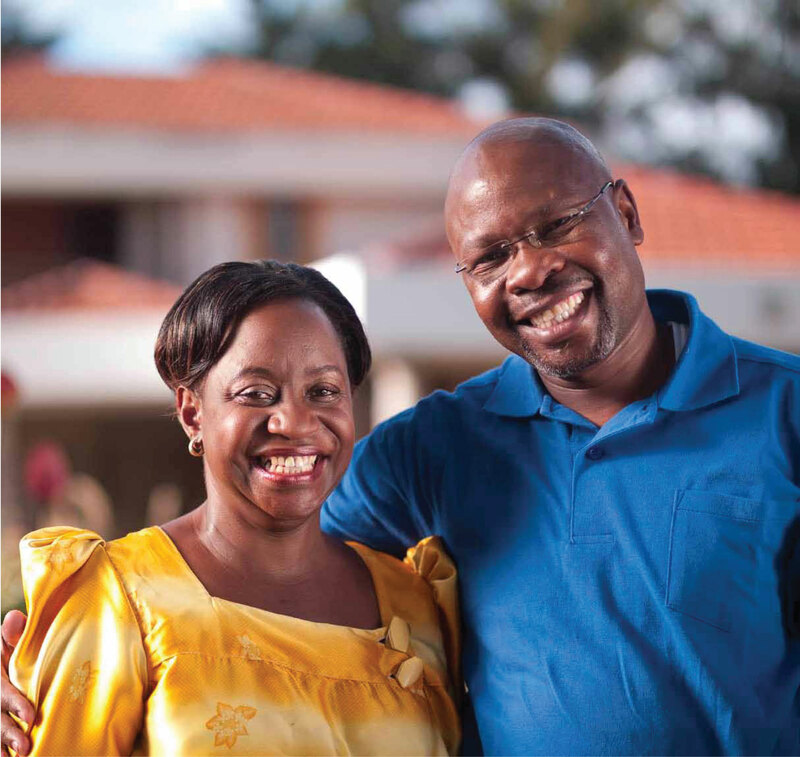 With term life assurance, you will ensure that your family needs are met at a small cost. Term life assurance may be the gift your loved ones will need in case of your unfortunate death. A term life policy will also protect you by providing cash benefits to assist with costs incurred in case you are hospitalized following an accident, diagnosed with a critical illness such as cancer or are permanently disabled. Where can I purchase a term life policy? As our mission to enhance quality of life by delivering peace of mind, UAP Life offers the Hifadhi term assurance plan. The Hifadhi Plan ensures that the lifestyles of families are maintained or not affected by unfortunate events such as sicknesses, accident, or worse untimely death of a breadwinner. As your personal situations change (i.e., marriage, birth of a child or job promotion), so will your life insurance needs. Care should be taken that the life cover(s) you choose to purchase are suitable for your long-term life insurance needs. What are your comments on protecting your family through term life assurance? There are two things that we in UAP Life do – first, we provide savings solutions that enable our clients achieve their financial aspirations and secondly, we ensure that the lifestyles of families are maintained or are not affected by unfortunate events such as sicknesses, accident, loss of income or worse untimely death of a breadwinner. To underline our commitment to the above two roles, we continue to provide innovative solutions that allow our esteemed customers save for whatever goals they have in life. Let me tell a little story of how we achieve this. When FIFA announced that the 2010 World Cup was coming to Africa for the first time in humankind’s history, UAP developed a product to enable Africans seize the historic moment and travel to see the world cup in South Africa, a lifetime opportunity to lovers of the beautiful game. We had a primary school teacher who diligently saved Kshs. 2,500 for 5 years and managed to accumulate enough funds for a return air ticket, 3 nights hotel accommodation in a 3 star hotel in Johannesburg and watched one world cup match – a feat that many better financially endowed individuals struggled to achieve because of lack of forward financial planning. Through our solution, the teacher not only achieved a dream of his life, watching world cup match live but also travelled out of the country for the first time. In this inaugural edition, allow me to engage with you on education financing in Kenya. Parents and guardians finance education through different modes – loans, savings, disposal of assets such as cattle or land, bursaries, donations, etc. The provision of widely spread education and training opportunities has been a long-standing objective of the Government of Kenya. Since Independence, the Government has sought to address the challenges facing the education sector through a range of policy initiatives, often with mixed results. Nevertheless, a major focus has been the attainment of Universal Primary Education (UPE) and the key concerns of achieving greater access, participation, equity, quality and relevance. Provision of advance education still remains the responsibility of individuals. At household level, there is no gainsaying the importance families place on education, not just in terms of access but quality too. Even though families realise the importance of a good education, not many plan for financing the same and in some instances leave the destiny of their loved ones to fate and chance. Our response, as UAP Life, to this challenge has been and will continue to be through innovation of products that enable parents and guardians save in an affordable but disciplined manner over a period of time and guarantee them sufficient funds to educate their children and those they support. Apart from product innovation, we also commit ourselves to bring to the public arena advice on the essence of forward planning and saving for a child’s education. Our Elimika Education Savings Plan enables children’s’ dream to come true through education in areas of their choice. It is flexible and guarantees payment of school fees amount selected by parents and/or guardians.